If good people don’t run for office, good people won’t be in office. Many of you know me. You know who I am. I hope I can count on your support. When those of us newly engaged in trying to improve our communities come into contact with business or political subcultures, we can be met with doubts and invasive questions about our intentions, and it is a strange experience. Frequently, we encounter a foreign perspective that views idealism with suspicion and derision, that sees us as hopelessly naïve, and that cannot conceptualize selfless end games. There is something very wrong when good people trying to do good things for the sake of doing good are so easily misunderstood and doubted. Of course, there are those who mask ambition with the guise of altruism, but must everyone who tries to do good be under suspicion? This is a form of cultural illness, one that perpetuates itself within a vortex of self-interested deal-making … and greed. The arrest of Rep. Chris Collins last week on insider trading charges is symptomatic of how dominant this culture of self-interest has become in some realms. Collins is now the poster boy for a normative political culture where business deals are made for personal gain, not for the greater good. While there are plenty of decent elected officials out there, they can’t make the kinds of deals needed to help everyday people because the culture they are functioning within has a sickness. Our political culture needs to heal and transform, and it will not transform without more ethically driven people getting involved to change it from within. It will not transform until those who seek to increase their own fortunes are outnumbered by those who seek to increase the standard of living for all. It will not transform until we replace every official who has lost sight of the larger picture because they are buried under piles of money and good-old-boy networks of enriching the few at the expense of the many. It is imperative that we find and support candidates for office who will work for the people and not themselves. 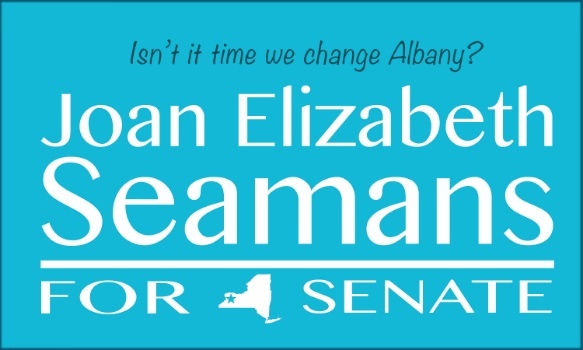 I have already seen significant changes in Western New York when ethically driven elected officials have the tenacity to fight for things like equal pay for all summer workers or policies that prevent members of the LGBT community from being mistreated by conversion therapy. You don’t have to get anything out of your involvement other than the satisfaction that you are trying to live up to what your inner being is telling you is the right thing to do. And, you are not obligated to answer such a question. Perhaps instead of answering, ask the questioner “What are you so afraid of? Heather A. Hartel, of Orchard Park, is a community organizer.